How to Transfer Contacts from One iPhone to Another via Bluetooth? Hi all, does anyone knows how I can beam a contact from one iPhone to another via Bluetooth? I've tried turning Bluetooth on both iPhones to ON, but all they did were searching for devices with no results. Tried going to Contacts to send contacts, but no Bluetooth sending option is given. thanks for reading. Help appreciated! Are you thinking of switching to a different iPhone model but you're having second thoughts because of the idea that you don't know how to transfer contacts via Bluetooth? Stop fretting over this! In this article, we will discuss whether you can transfer contacts from one iPhone to another via Bluetooth and how to transfer contacts between devices. Can I Transfer Contacts from One iPhone to Another via Bluetooth? 3. Can I Transfer Saved Text Messages/iMessages Back to iPhone? Unfortunately, the simplest answer is NO. Apple does not support the transfer of any files via Bluetooth. For Apple devices, Bluetooth is used as a method in pairing devices, such as earphones, mouse and heart rate monitors. However, users cannot transfer contacts to another iOS device using Bluetooth. Go to the iCloud of your iPhone. This is found in Settings > iCloud, or Settings > Name > iCloud, depending on your iOS version. Once you've reached the iCloud Page, look for the 'Contacts' option. Make sure that this option is toggled as 'on'. This process will enable the contact syncing. Then the contacts on old iPhone will be stored in iCloud. Make sure that you have done the same steps with what you have done on your old iPhone. Open Contacts App and similar to the 'refresh' action, go to the top of the contacts page and swipe a pull down motion which will prompt a spinning icon to appear on the top. The spinning icon denotes that the Contacts App is refreshing its data. The contacts from the old iPhone should now appear in the new iPhone within just a few minutes. Go to iCloud.com; Log in using your Apple ID credentials. On the home screen, click on the Contacts application. The contacts you will see are those stored in your iCloud space. Go to Settings > Advanced > Restore Contacts. It will show all the archives of your contacts. Click 'Restore' in the right next to the time of the archive. 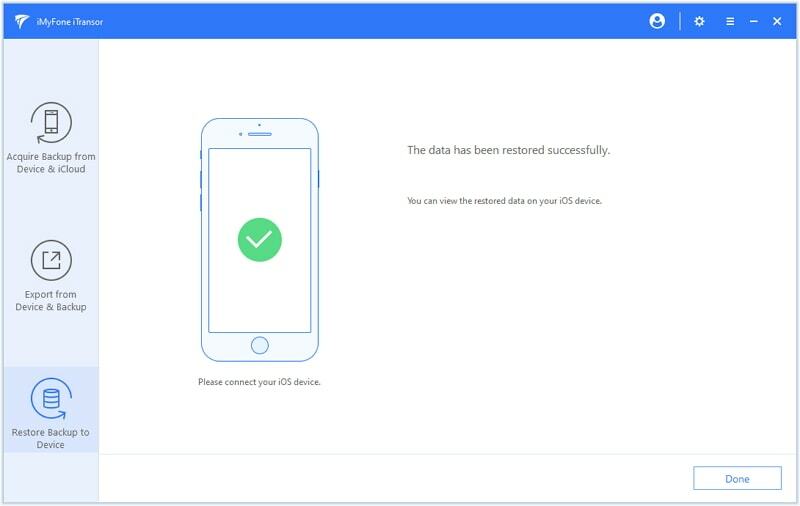 This will restore the contacts to your new iPhone, including iPhone Xs/Xr/Xs Max. 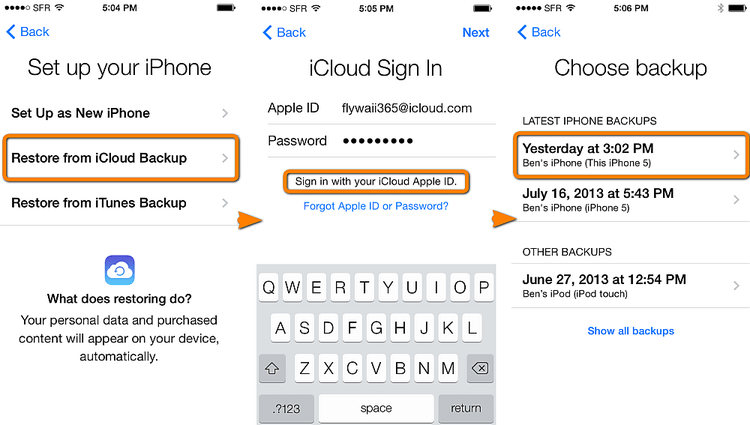 Log in to your iCloud account in the old iPhone. Make sure that the iPhone is connected to Wi-Fi. 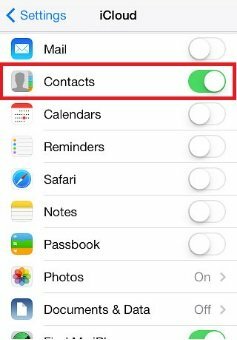 Go to Settings > [Your Name] > iCloud > and ensure that the 'Contacts' is toggled on. Scroll further down and look for 'iCloud Backup', toggle 'iCloud Backup' on. Click 'Back Up Now' to start the backup process. In the initial setup, provide your Apple ID details. While on the process, you will be asked to choose between you want to set up from backup or as a new iPhone. 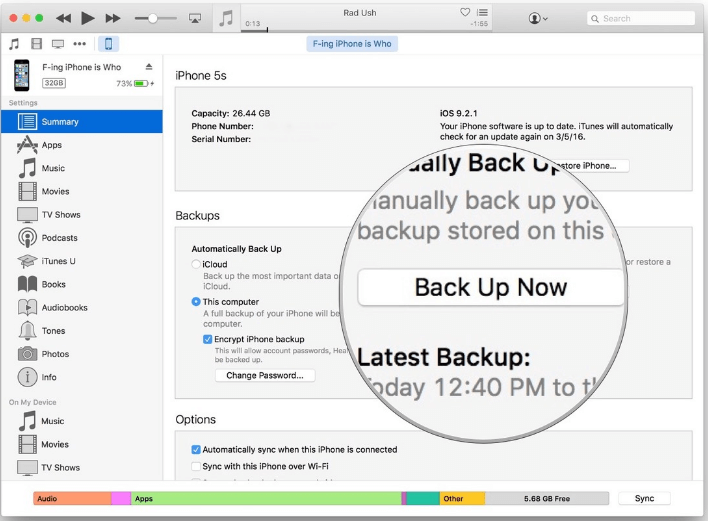 Choose 'Restore from iCloud Backup' and select the latest backup on the list illustrated. The restoration process starts. After the restoration process, the iPhone is expected to restart and thereafter, ready for usage. Note: For both backing up and restoration process, the duration depends on the strength of internet connection and size of data. Plug your iPhone with computer. Open iTunes application; ensure that it is the latest version. On the menu bar located on the side of the iTunes window, select your iPhone. This is usually denoted by a small phone icon. After the phone icon is selected, select 'Info' on the left-hand bar. Ensure that 'Sync Contacts' is enabled. Click Sync. This will prompt the process of syncing your contacts data from your iPhone to the PC. After the sync process is done, unplug the iPhone. Plug in the new iPhone .Follow steps 2-4. 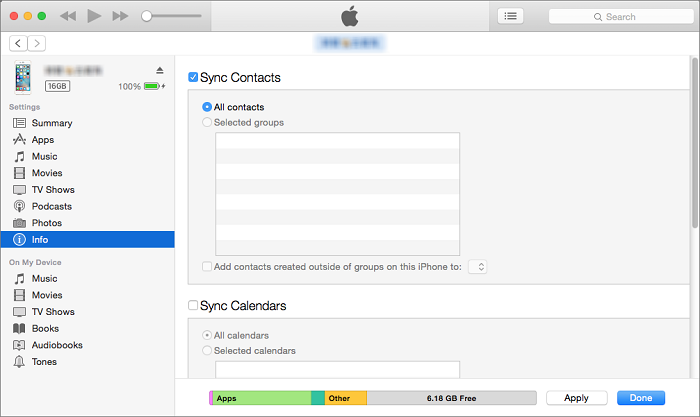 In the Sync Contacts page, go to the 'Advanced' menu. Under the 'Replace Information on this iPhone' sub-menu, make sure that 'Contacts' is selected. Click 'Sync'; this should transfer the contacts data from the PC to the iPhone. 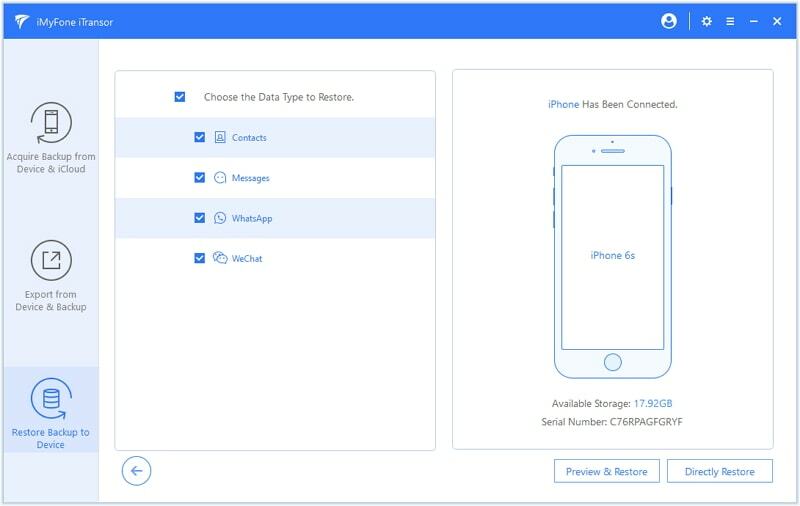 Note: this will deletes the contacts currently stored on the plugged iPhone and they will be replaced by the contacts data in your PC. Plug your iPhone. Open iTunes Application, ensure that it is the latest version. Select your Phone. On the Summary page, click 'Back Up Now'. This will prompt the back-up process. To check if the process is completed, go to iTunes Preferences > Devices. 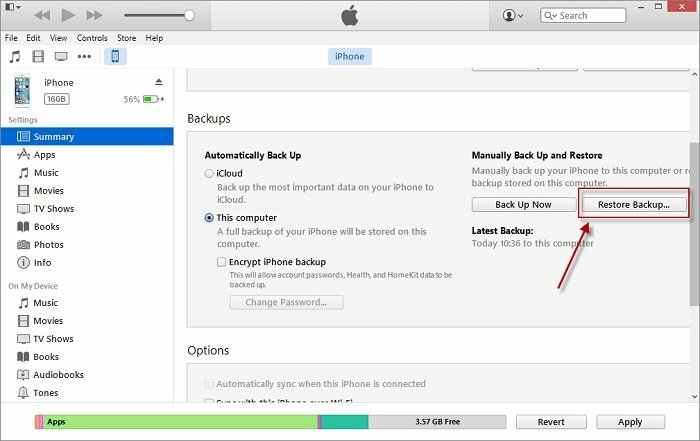 The name of your iPhone, date and time of backup should be reflected. Turn on your iPhone and on the initial setup, you will be asked to choose between you want to setting-up from backup or as a new iPhone. For this method, select 'Restore from iTunes Backup'. Connect the device to the computer, and select the device in the iTunes page. Choose 'Restore Backup' and select the appropriate if not latest backup in the list. After the restoration process, the iPhone will continue with the initial set-up process and it will be usable in the end. If the methods mentioned above are not convenient for you, then there is still hope. You can use third-party software which are even more user friendly and simple to use. An example of these third-party software is iMyFone iTransor, which is a Data Backup and Restore tool, a better alternative to iTunes/iCloud to selectively backup and restore data from iOS devices. Why Choose iTransor to Transfer Contacts? 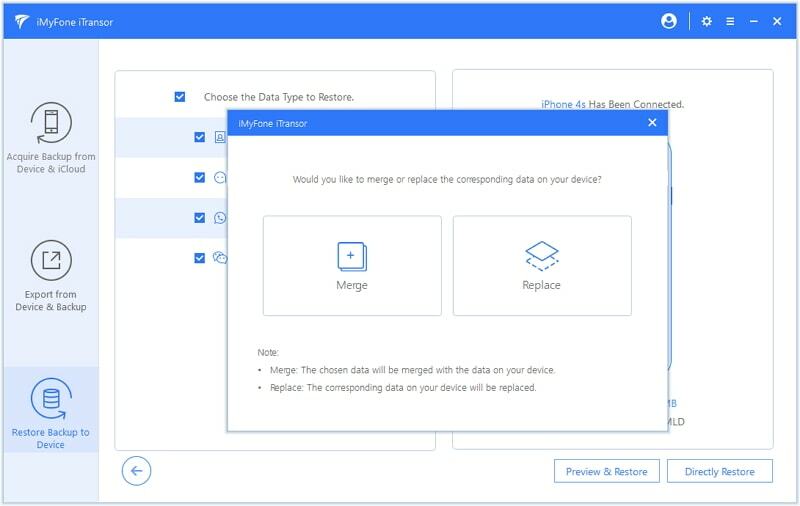 It can do what the iCloud and iTunes are not capable of doing: to merge the contacts data in backup with that on device, which means you don't have to lose any contacts on both devices. 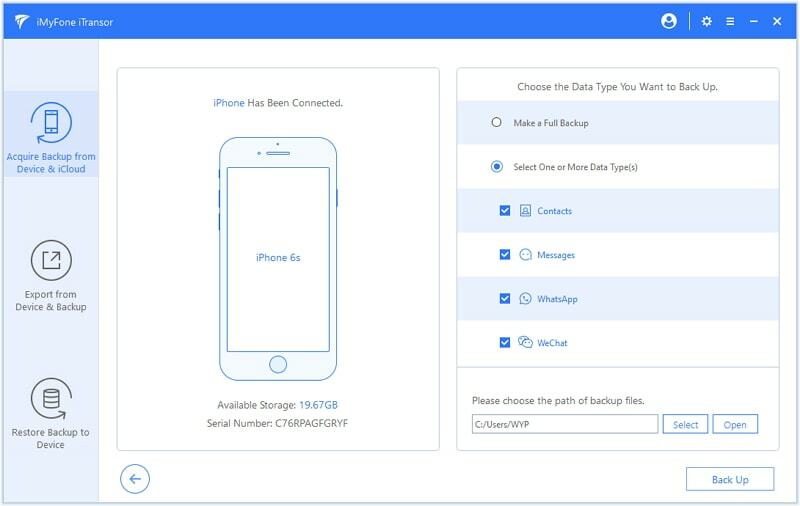 Additionally, one if its unique feature is the backup and restoration of data from certain apps, such as WhatsApp, messages, and WeChat. How to Transfer Contacts between Two iPhones using iMyFone iTransor? Step 1. Firstly, download and open iMyFone iTransor. You can download it from the following buttons which matches your computer OS. Step 1. 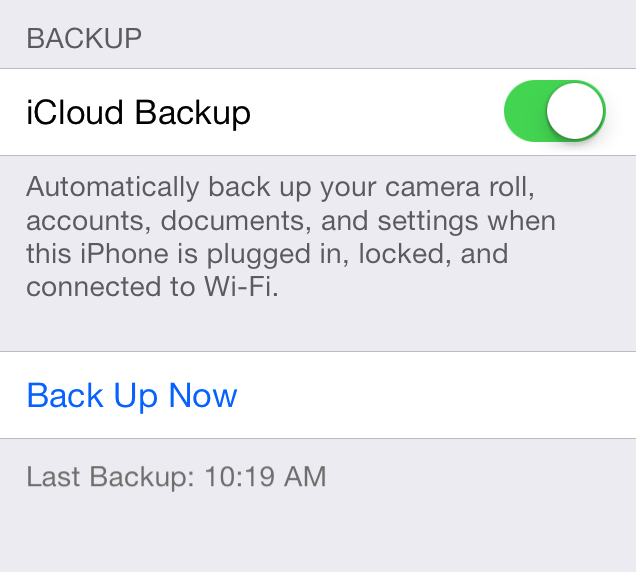 In the program window, select 'Acquire Backup from Device & iCloud' > 'Back Up Device'. Step 2. Connect your iOS device to the computer. Select between the two options available on the right column – You can choose Contacts in this case. Step 3. Click 'Back Up'. The backup process will now commence and once it is done, you will be notified. Step 1. Select 'Restore Backup to Device'; a list of backups will be visible and choose the backup file for the contacts made in Part 1. Click 'Next'. Step 2. Contacts is selected automatically and you should connect the iPhone. Then click Directly Restore. Step 3. iTransor will prompt you to choose 'Replace' or 'Merge'. Choose 'Merge' and the program will combine the contacts with that on the new iPhone. Step 4. The restoration will now commence and if it is done, data will be available on the new phone. As you can see, there are multiple ways to transfer your contacts from one iPhone to another, even without Bluetooth. 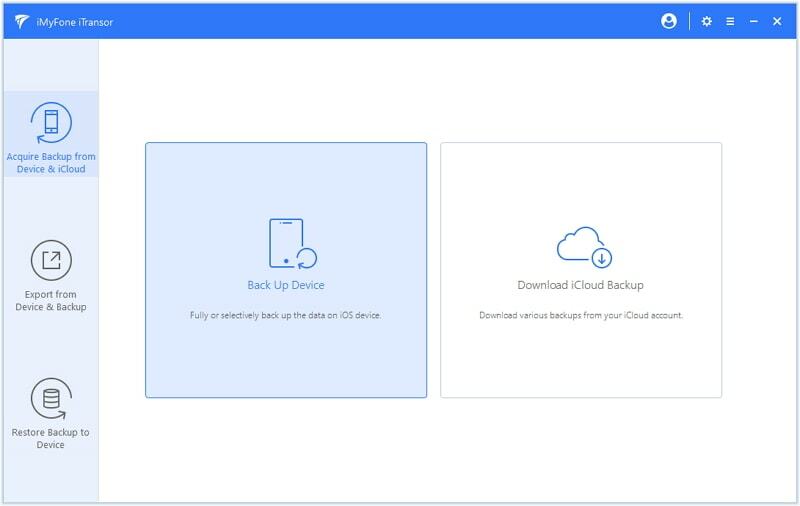 It is even more useful if you utilize your iCloud account as the backup data stored on your cloud can be used in the various ways in transferring data, even third-party software such as iMyFone iTransor. To choose what's the best way for you to transfer contacts or more data, consider the size of the data you're transferring as well as the available tools and software for you. Setup as New iPhone or Restore from Backup, How to Choose? How to Download Text Messages from iPhone Xs/Xr/Xs Max?